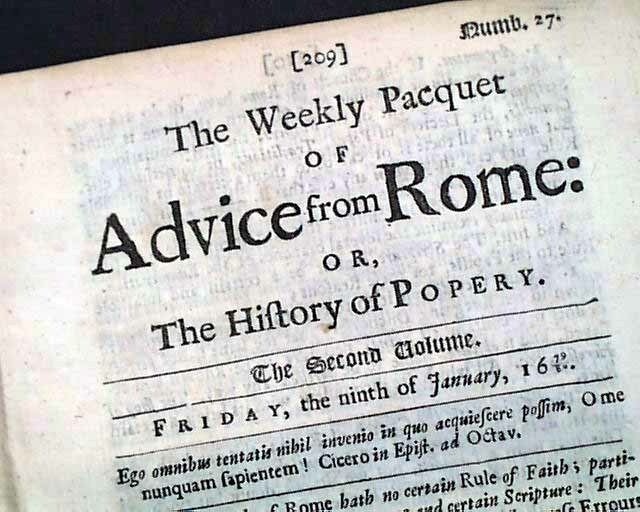 Item # 120730 THE WEEKLY PACQUET OF ADVICE FROM ROME, OR THE HISTORY OF POPERY, London, 1679-1682 An unusual anti-Catholic newspaper which had a short life before being suppressed. Measures 5 3/4 by 7 1/2 inches and in great condition. 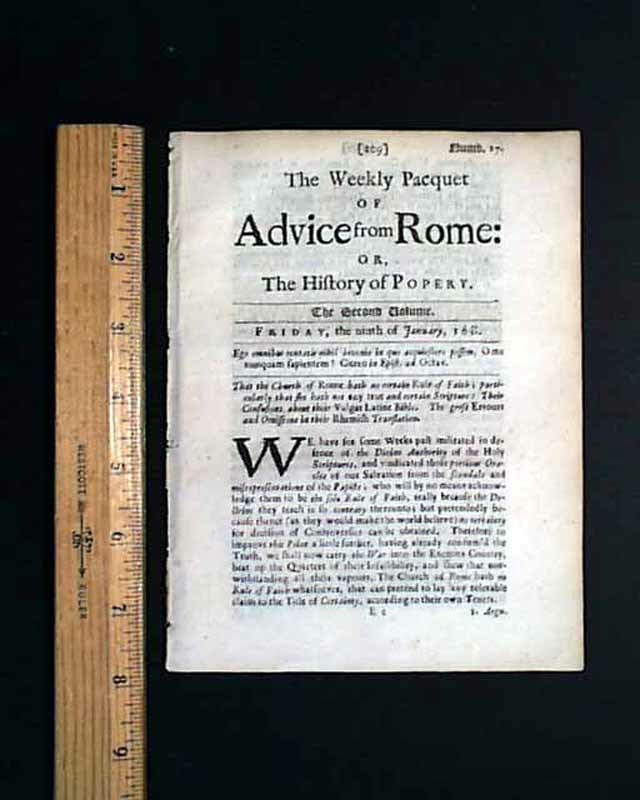 The issue shown in the photo is generic; the issue you receive will have a similar but different date from the years noted.